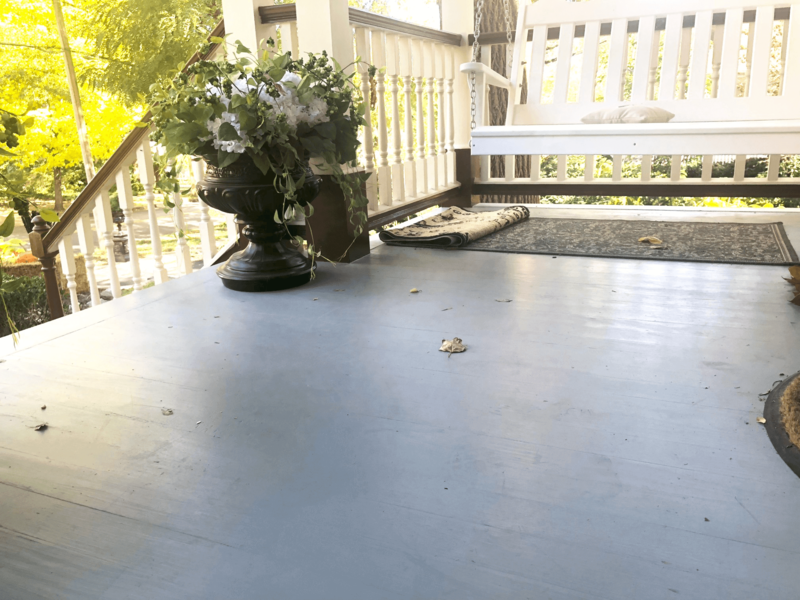 I need to replace old porch flooring, will this match? 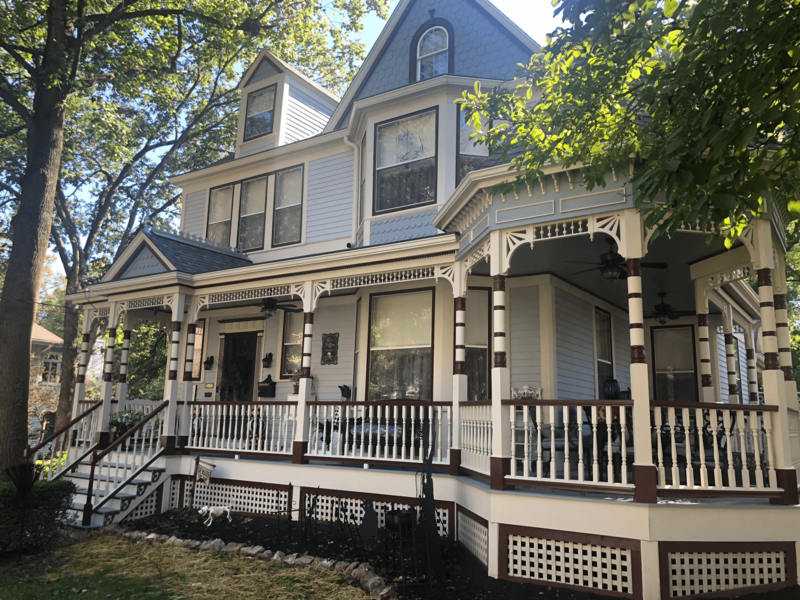 Somewhat depends, but for the most part this is a very traditional porch flooring that's been installed on homes for over 100 years. It should match in most circumstances. 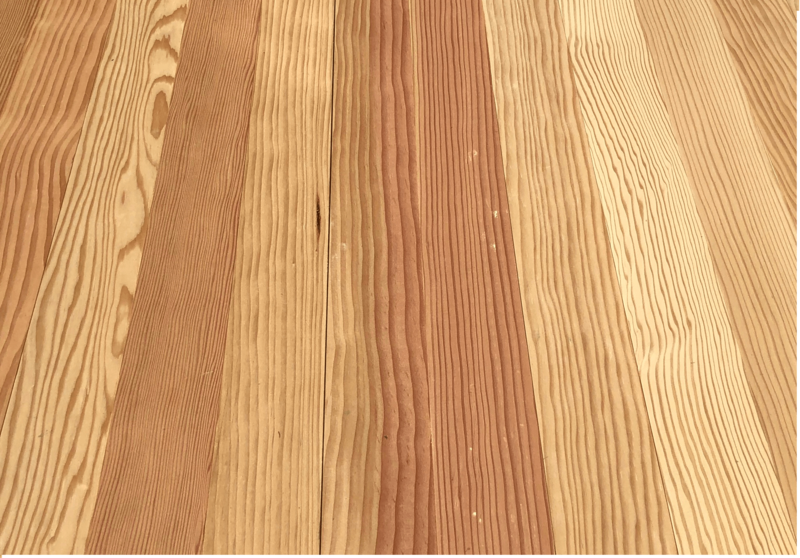 If installed correctly, Douglas Fir porch flooring should last 10+ years. 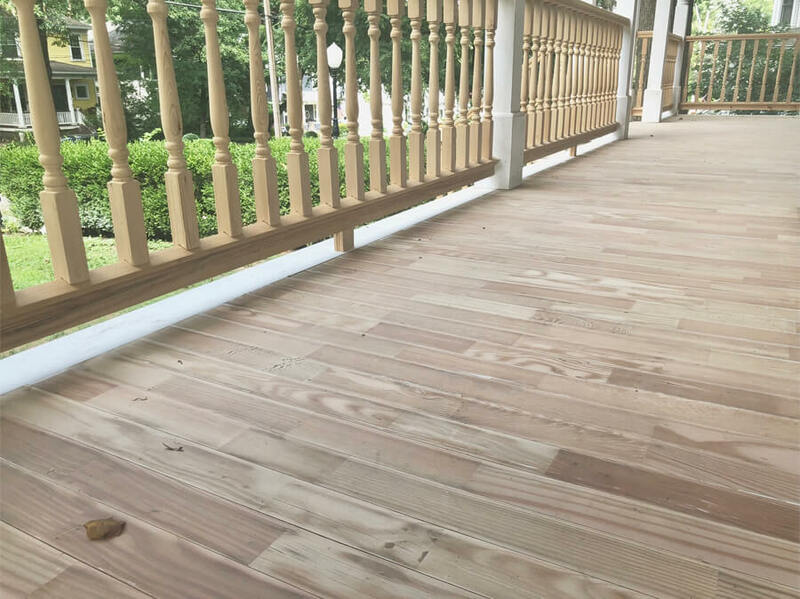 Conversely Yellow Pine or Treated porch flooring usually only last 5 years or less before serious maintenance is needed. First, let the wood acclimate for a week before installing. 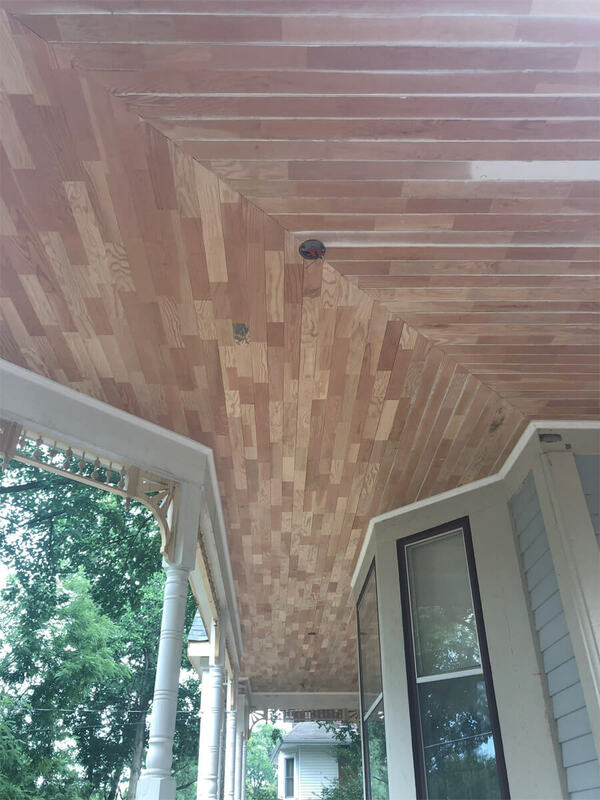 Once the wood has been acclimated, paint or seal all four sides - this will prevent water from entering the wood which leads to expansion, contraction, rot, and decay. 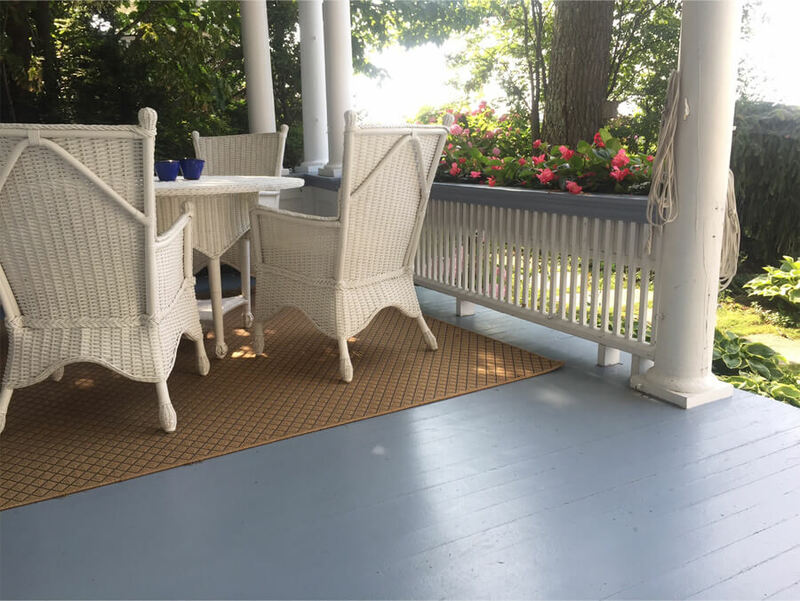 Porch flooring should be installed perpendicular to your house, with a 1/8" slope per lineal foot. This slope will allow for wind swept rain to bead off and prevent water from pooling. 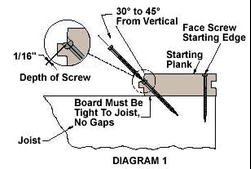 The tongue and groove profile allows for blind nailing into the joist at a 45 degree angle through the tongue (as shown below). Be sure to use a stainless steel or galvanized fastener that can penetrate at least 1" into the joist. Do I need to paint or seal? 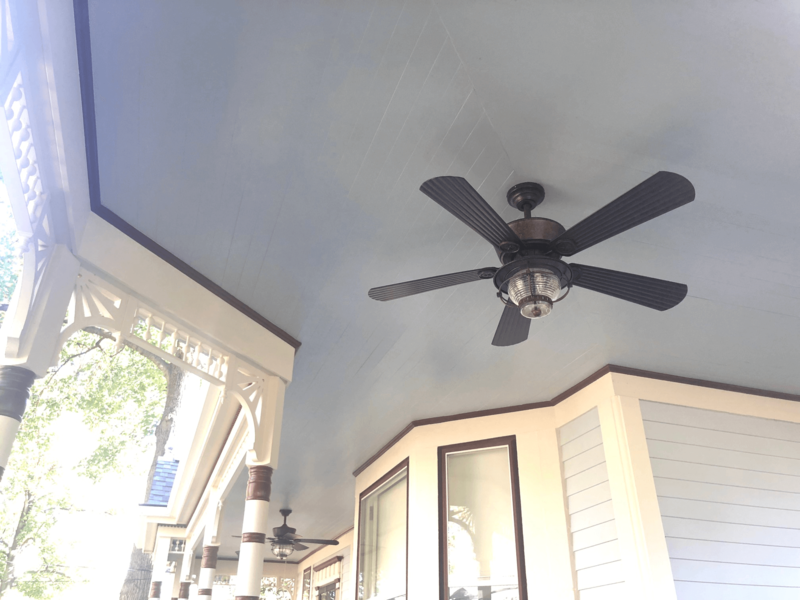 For the best results, it's recommended to paint or seal all four sides before installation. 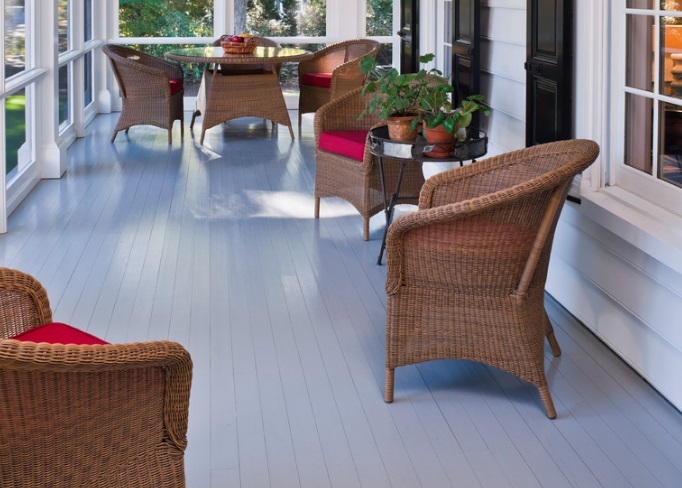 Painting/sealing helps to protect the wood from moisture, and extend the life of your floor. What type of coverage should I estimate? Take your square footage and multiply by four to get your total lineal footage. 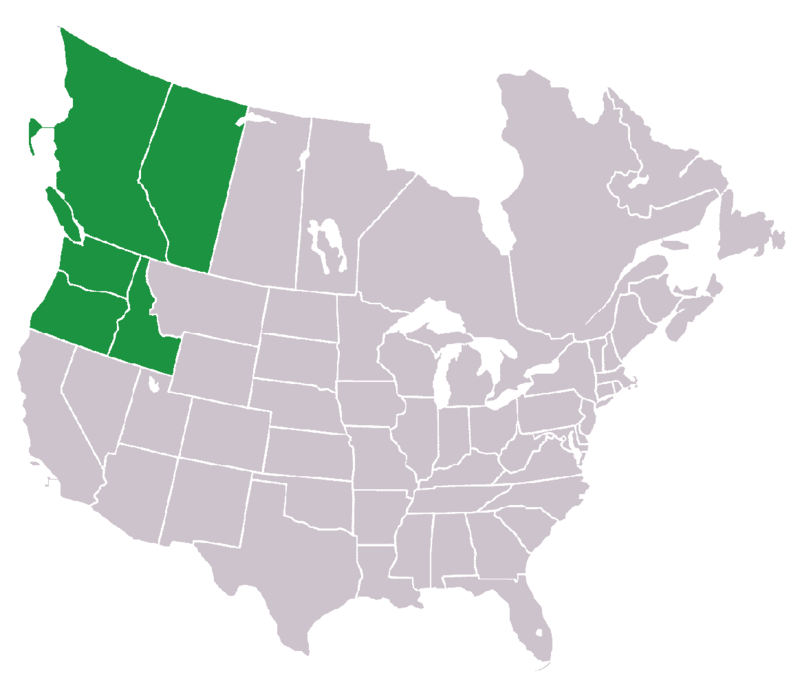 Coverage is 4 lineal feet per square foot. Absolutely. Just make sure you acclimate for a week before installing.